A previous litter where the mother had difficulty with labor and delivery. When we consider a pet for elective C-section, we time and monitor the pregnancy closely in order to time the delivery within a 2-day window prior to the due date. Accurate ovulation timing is very important so we know when the start of pregnancy occurs. 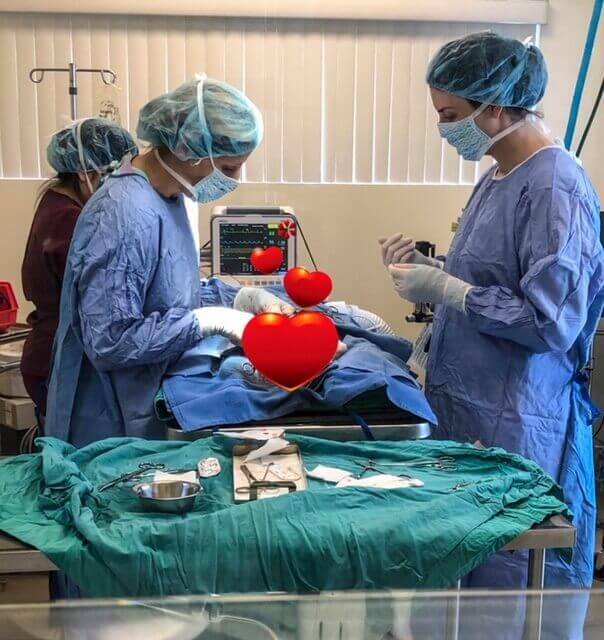 At Newport Harbor Animal Hospital, we have a loving, energetic, and supportive puppy care team that has been trained in neonatal resuscitation (care directly after c-section) and we experience excellent outcomes in elective C-sections. This procedure can be scheduled almost any day of the week, Dr. Sebzda's availability permitting. If you would like more information on Elective C-Sections please schedule an appointment with Dr. Mary Sebzda or call 949-612-2756.